MILPITAS – Three local community leaders from Alameda and Santa Clara counties who are active in education, social justice, arts, culture and the nonprofit sectors were honored by State Sen. Bob Wieckowski (D-Fremont) at his seventh annual Asian Pacific Islander American Heritage Leadership Awards ceremony on May 12 at the Milpitas Unified School District Boardroom. Richard Konda of San Jose, the executive director of the Asian Law Alliance, an organization aimed at helping individuals obtain decent housing, justice in the immigration process, and access to basic human and legal rights. 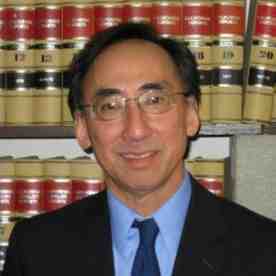 During his career, Konda has also helped to facilitate the formation of the Coalition for Justice and Accountability to advocate for humane police practices, and has been an active participant in the movement to obtain redress for Japanese Americans incarcerated by the U.S. government during World War II. Asian Pacific Environmental Network, based in the East Bay, which focuses on working with Asian and Pacific Islander communities to promote environmental, social and economic justice reform. Since 1993, APEN has organized a membership base of largely API immigrant and refugee communities to take part in public policy advocacy on issues such as affordable housing, renewable energy, and climate change. APEN also helps to advance civic engagement in the community through its voter education and registration drives. Wieckowski’s 10th Senate District includes southern Alameda County and northeast Santa Clara County.